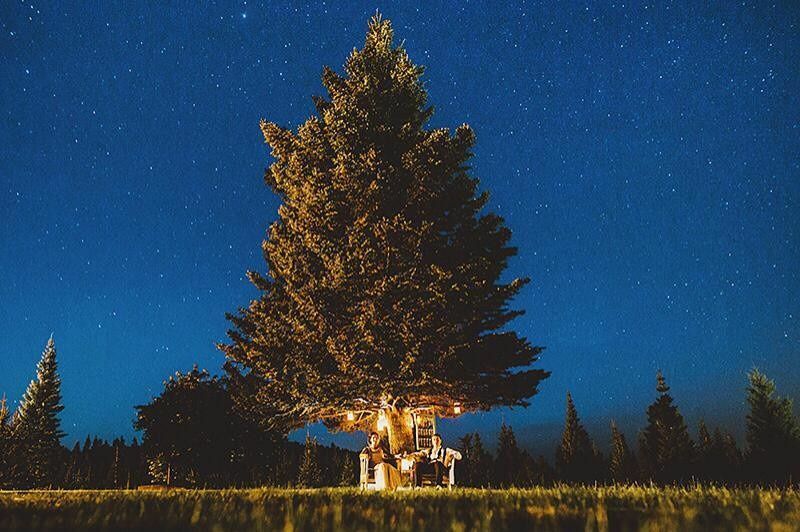 A beautiful and relaxing wedding venue in Mt. 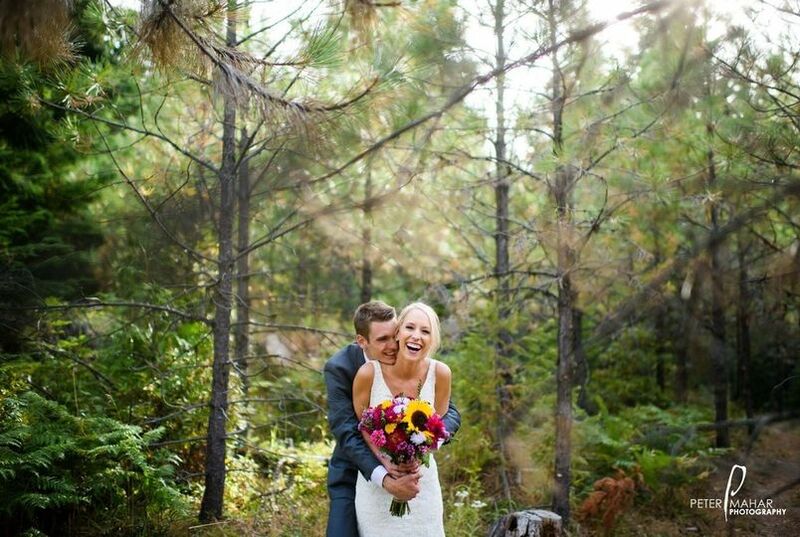 Hood, Oregon, Cooper Spur Mountain Resort offers indoor and outdoor weddings, lodging, incredible menu options, catering services and much more for your special day. 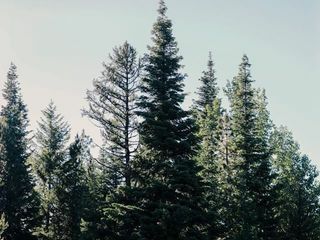 With waterfalls, trails for road and mountain biking, beach volleyball and tennis, there are many opportunities to enhance your experience at Cooper Spur Mountain Resort. Cooper Spur is located on 775 acres of Mt. Hood National Forest, with incredible views of the surrounding mountains and areas. 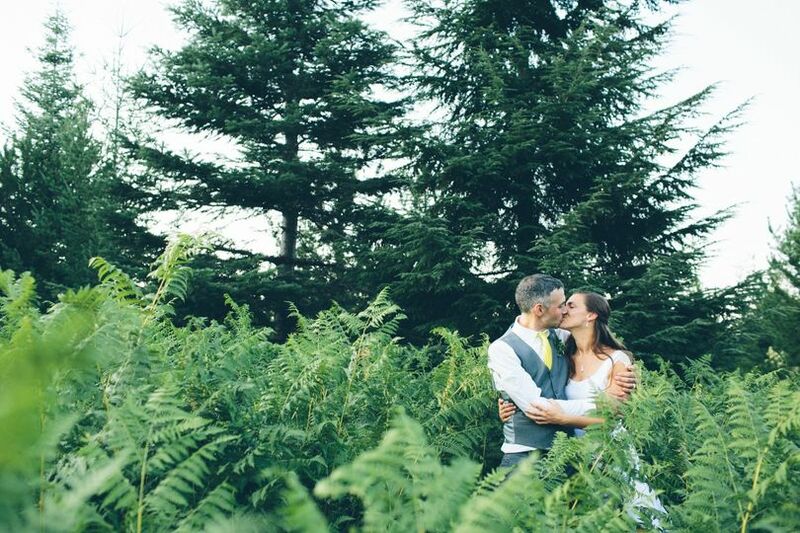 The event spaces themselves are unique with vibrant meadows, flowers and trees. 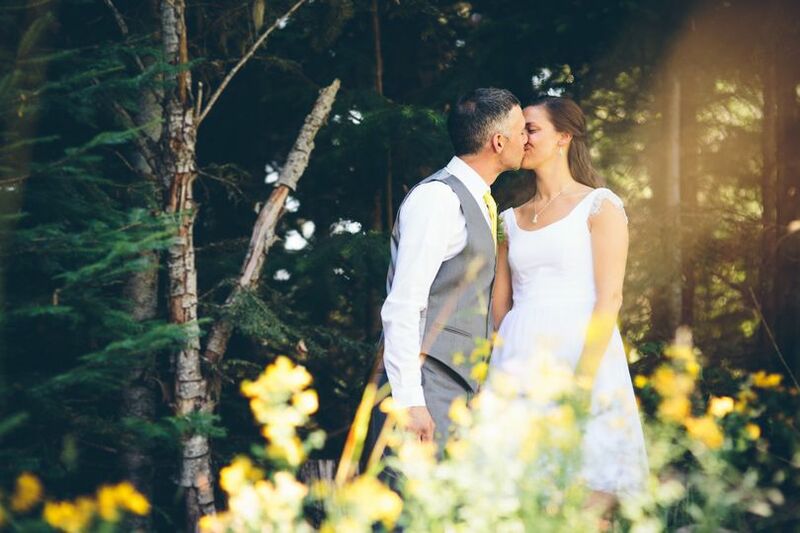 Outdoor wedding venues, The Grand Lawn and The Private Log Home, feature amazing backdrops with accommodations for 200 guests for a tented outdoor reception. 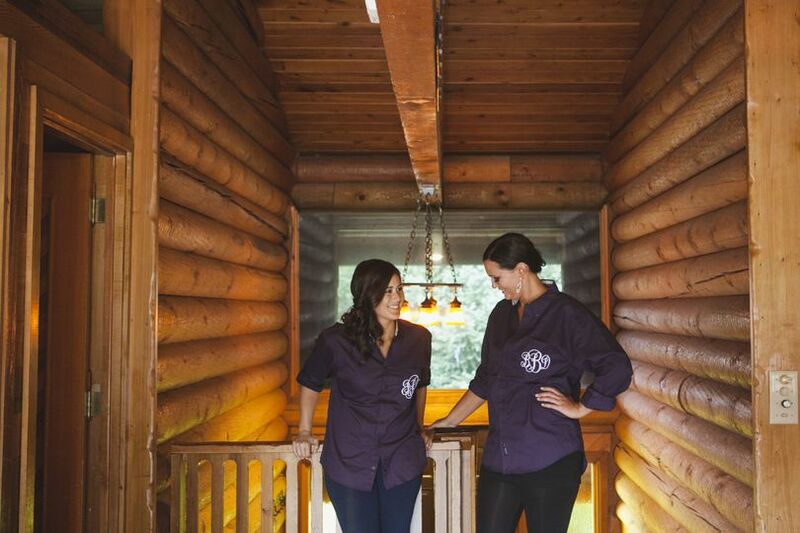 Indoor wedding venues include the historic Crooked Tree Tavern & Grill, a romantic and cozy location. 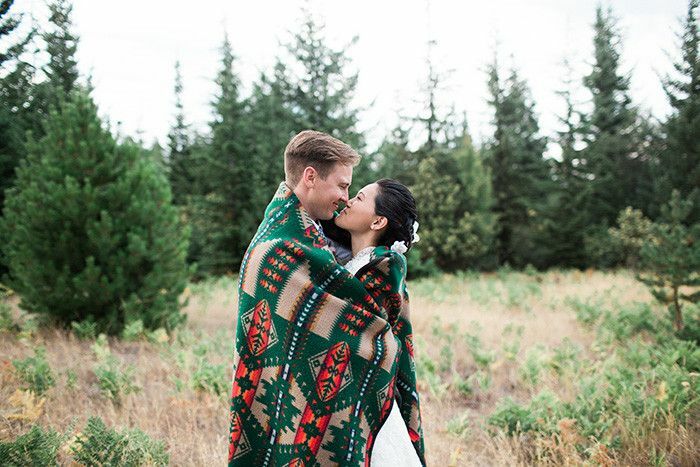 My husband and I got married at Cooper Spur this past June and we are so incredibly happy that we chose this magical venue. 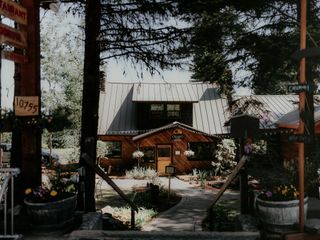 We knew that we wanted to get married in Mount Hood and Cooper Spur was the first venue that we toured and we were immediately sold. 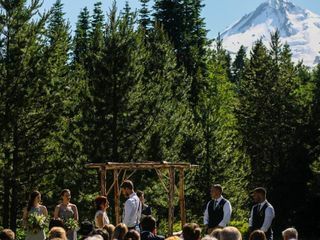 The venue speaks for itself with rustic beautifully crafted cabins, lush green space, the most picturesque view of Mt Hood which is completely enclosed by massive evergreens. 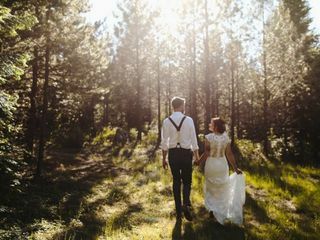 All of our guests stayed at Cooper Spur and it was such an incredible feeling to have all of our family and friends from all over the country be all in one place for our wedding. 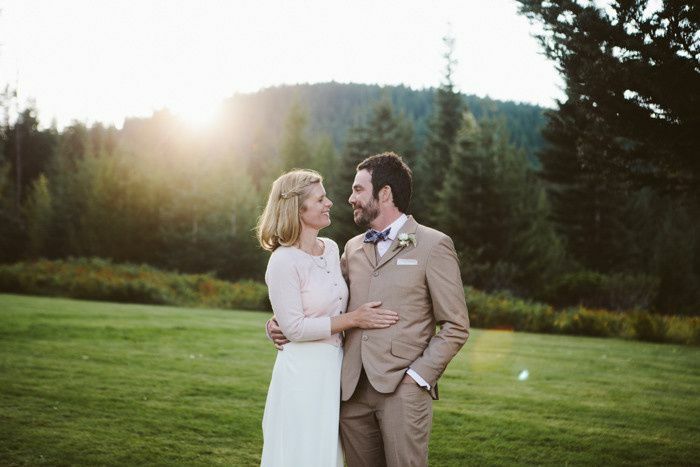 I can not express enough how easy Sara made the booking and planning process. She really took the stress of planning my wedding off my shoulders and it was easy to have 100% trust in her. Sara’s team is top notch, they are incredibly kind, welcoming and doted over us the whole weekend. One of the things that really drew me to Cooper Spur was how private and completely inclusive our wedding weekend could be. They have so many different spaces and we were able to have three days of wedding events that all took place in different areas of the resort. I can not recommend Cooper Spur enough to anyone looking to host an event in Mt Hood. 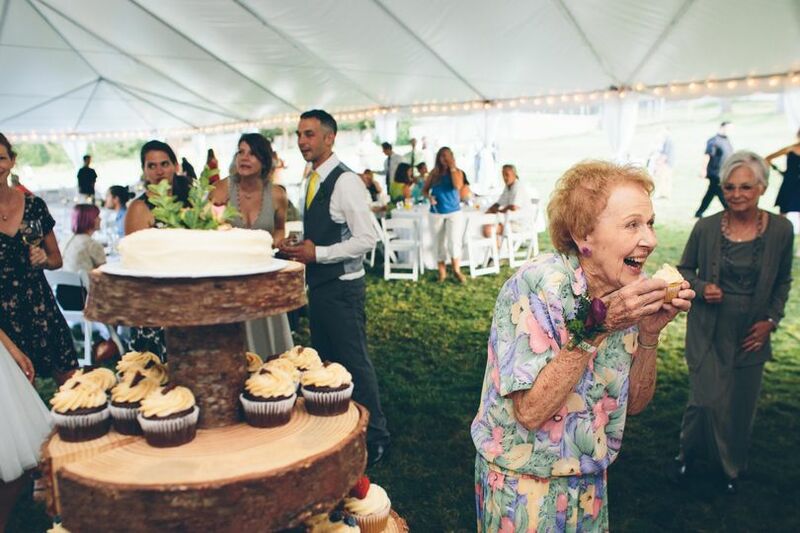 Our guests still talk about how wonderful our wedding weekend and so many guests told us Cooper Spur served the best wedding food they have ever had! I would work with Sara, Barb G and Jamie again in a heartbeat. You all truly made my wedding dreams come true. It was the most magical, perfect, and hands-down the best experience of my entire life! 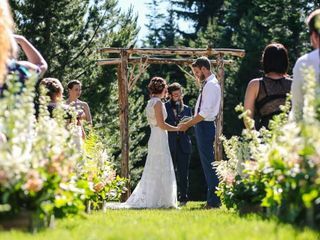 If you're looking to celebrate a wedding in a rustically beautiful location on Oregon's iconic Mount Hood, don't hesitate to take a look at Cooper Spur Mountain Resort. My daughter and now son-in-law were married there on a beautiful Saturday day in July 2018. The skies were blue, the mountain was in full view, and their friends filled the resort's cabins and condos both Friday and Saturday night, taking advantage of the many activities available, such as mountain biking and tennis. My son-in-law described the weekend as "perfect." We're grateful for the support we received from the Cooper Spur planning and operations team. They were supportive, friendly, professional, and easy to work with at all times. Cooper Spur was the first venue we visited and we were in love from the start. 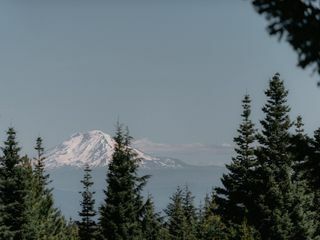 Where else can you drive into the woods, with amazing views of Mt Hood, rent out the whole place, and spend the weekend with all your loved ones?? It's such a special place, and Sara and Christina went above and beyond to make our vision a reality. 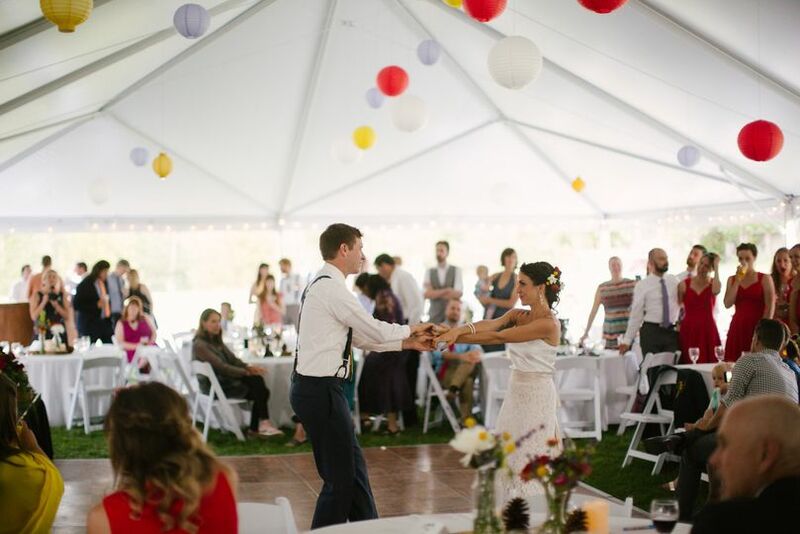 They have multiple spots for welcome dinners, ceremonies, and brunch, and it was awesome. We can't wait to go back and celebrate anniversaries there!